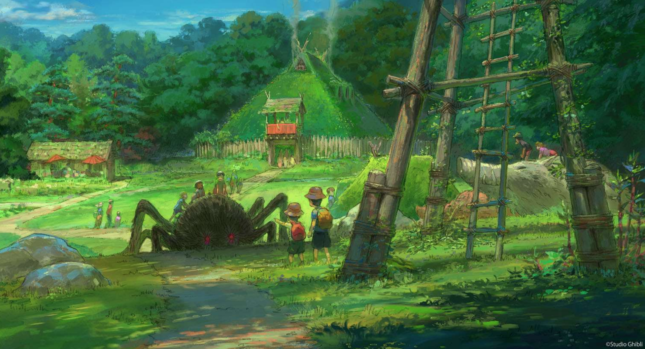 Miyazaki fans, rejoice: there’s a new theme park coming to Japan built around animation house Studio Ghibli, the Oscar-winning studio known for films like Spirited Away and My Neighbor Totoro founded by Hayao Miyazaki. In 2017 Japan’s Aichi Prefecture announced that they would be building a Studio Ghibli theme park. 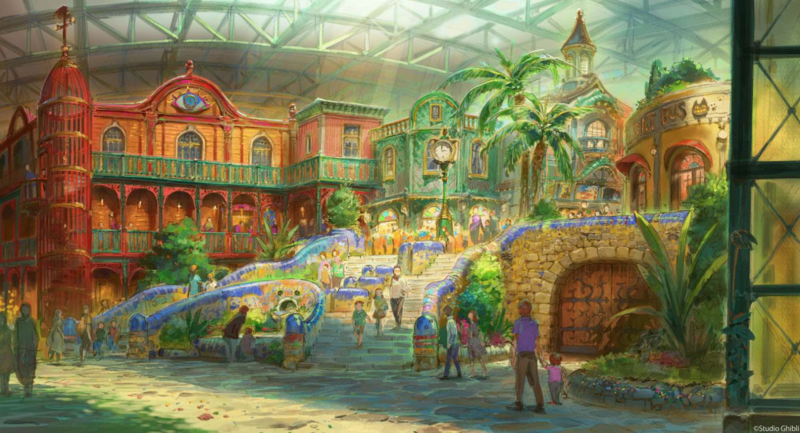 Early renderings of the park were released this year, done in the style of Miyazaki’s movies. While details about the rides have not been released, the fantastical renderings hint at what’s to come. 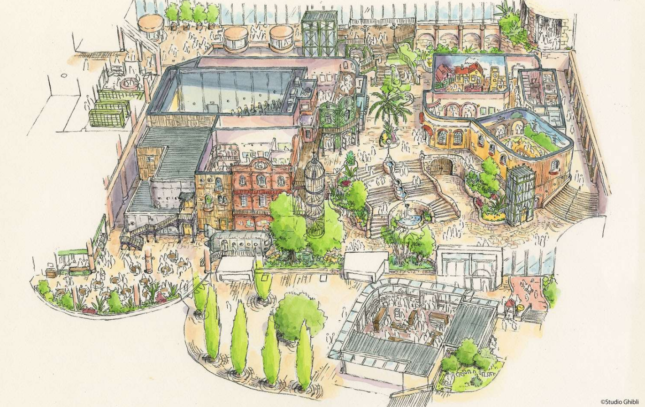 The theme park will be divided into sections based on films, including Princess Mononoke Village (Princess Mononoke), Witch Valley (Howl’s Moving Castle, Kiki’s Delivery Service), and a Totoro-themed Dondoko Forest (My Neighbor Totoro). 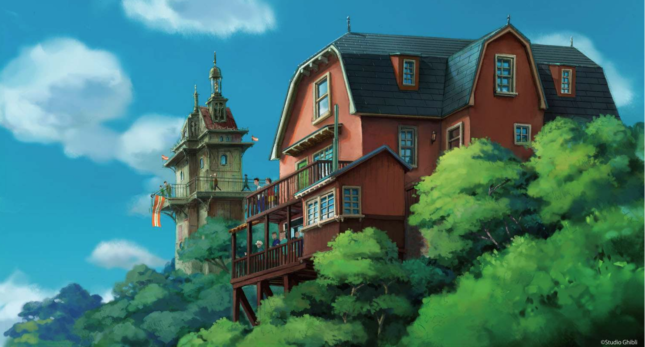 Visitors will be greeted with a partial recreation of the castle from Howl’s Moving Castle, according to Sora News 24. 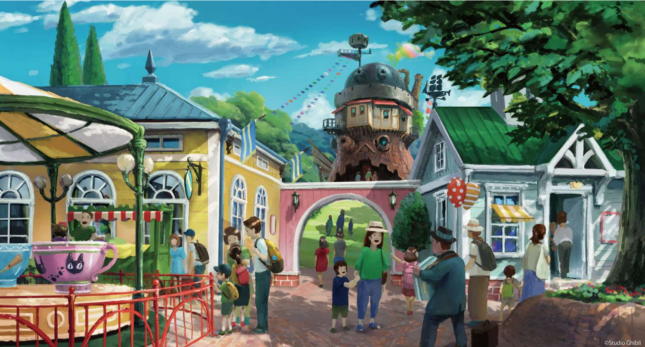 The park will be built on the Expo 2005 Aichi Commemorative Park, a 500-acre lot that previously served as the site for the World’s Fair and where there is already a life-size replica of the house from My Neighbor Totoro. The new park will be integrated into the existing grounds and make use of existing facilities while building new structures to become a “one-of-a-kind park”, according to the Aichi government. Studio Ghibli is a world-famous animation studio based in Japan and can be considered to be one of the pioneers of the anime genre. Its co-founder, Hayao Miyazaki, is often compared to Walt Disney and is the mastermind behind many of the studio’s famous films. No architect or designer has been announced at this stage. The theme park is slated to be completed in 2022 in Aichi Prefecture’s Nagakute City, near Nagoya.